Hampers are a lovely way of sending a gift, for any occasion and it's always nice to receive a box of carefully selected gifts too. Serenata Hampers offer a wide selection of gifts through their site, from flowers to new baby, picnic to chocolate, I think there is definitely something available for everyone! We were sent the Sweet Rag Doll Gift Box to try out recently. 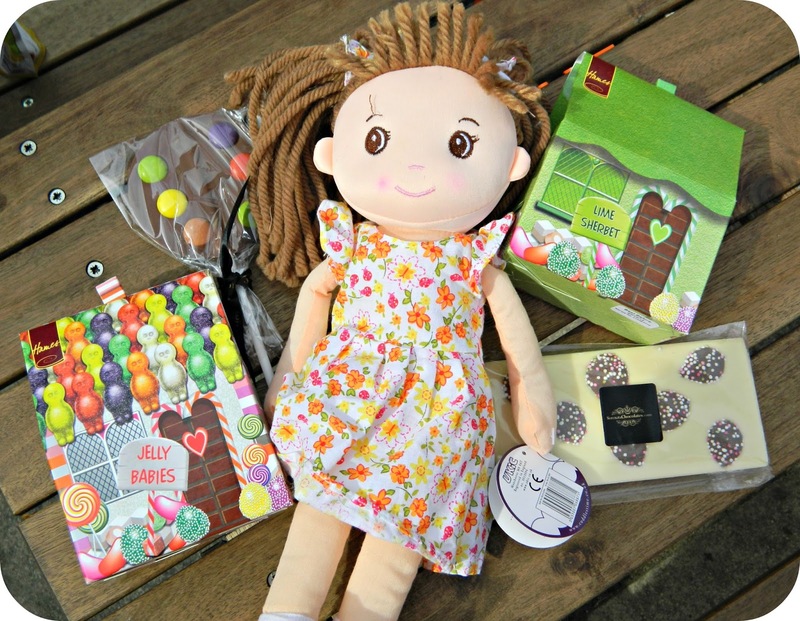 When making my selection this item really stood out as, in addition to a range of yummy sweets and chocolates you are also sent a beautiful rag doll to keep once the sweet treats have all been eaten. Retailing at £29:99 (although currently reduced to £23:99) the gift box includes a dolly, box of lime sherbet, box of jelly babies, a milk chocolate lollipop and a bar of white chocolate. Little Miss adored the rag doll on sight and she has been a popular playmate ever since her arrival. 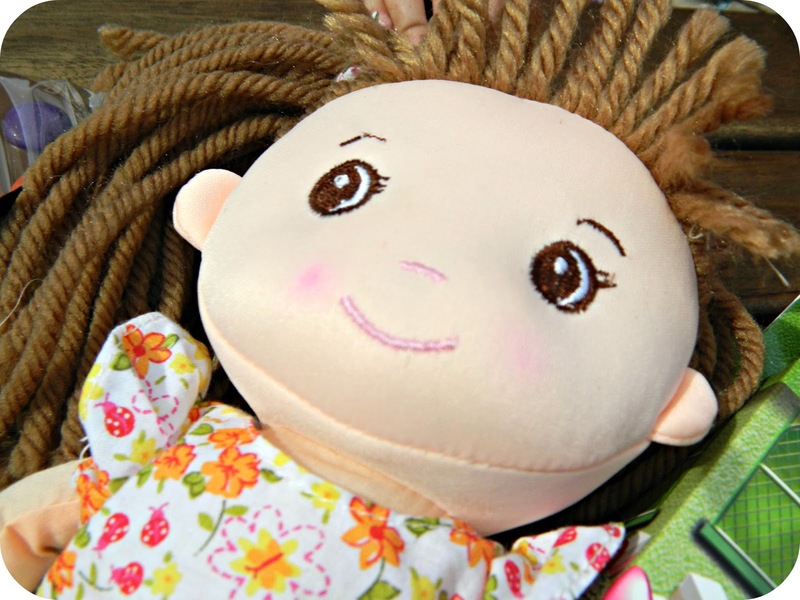 She is around 25cm tall with a bright, removable dress and long woolly hair. Ours was left outside in the rain and got very muddy and she has survived a visit to the washing machine well. I'm always so pleased when a dolly can be washed. The sweets are lime sherbet and jelly babies. Both were tasty and fun reminder of the sweets of our youth. The jelly babies were especially popular with the children and disappeared very quickly! Both are presented in cute little cardboard houses which makes the hamper look pretty too. The white chocolate bar had milk chocolate jazzies embedded upon it, so tasty! 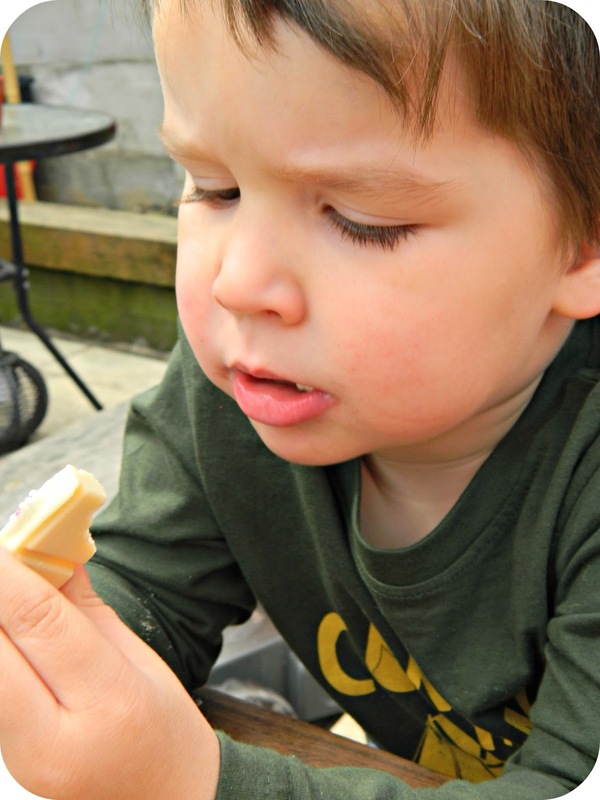 The chocolate lolly was a big treat for Bud and he loved biting off the chocolate beans. I think this would make a lovely gift for a child, or group of children. The rag doll is a really lovely focus for the gift and I can see the arrival of the blue Serenata hamper box bringing a smile to any little one's face. I've teamed up with Serenata to offer one of my readers the chance to win their choice of gift, priced at up to £25. To enter please complete the Gleam widget below. The blog post comment is compulsory and will unlock a range of additional entries. Please read the terms and conditions.